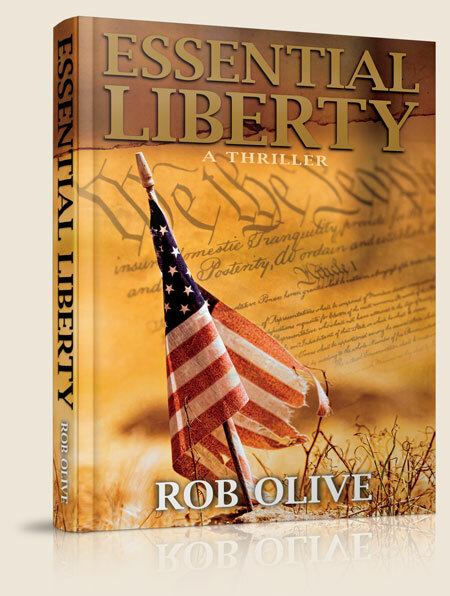 They thought it would never happen here… Seemingly ripped from today’s headlines, Essential Liberty is an action-filled, thought-provoking work of fiction about governmental overreach and the abuse of power. Through believable characters and words that could have come from our current political debate, Essential Liberty asks, “What if?”…and then provides the answer. The United States government has banned and begun confiscating firearms from its citizens. Insurance executive Don Williams has never owned a gun and is part of the majority of Americans who initially favored “Collection” (the official term for confiscation), yet he’s shocked to see his fellow countrymen being rounded up on the evening news. Don’s good friend, former Marine Mike Niculescu, owns many firearms and has refused to surrender them. The son of immigrants from Communist Romania reveres them as symbols of liberty. Bill Payne, of the Bureau of Alcohol, Tobacco, Firearms and Explosives, commands an ATF Hazardous Operations Team. These elite new teams are reserved for Collection operations with a high level of risk. Payne wants his unit to be the first to make headlines. As the story unfolds, Don is forced to make a choice: Will he turn a blind eye to the abuse of power, or will he choose—for the first time in his life—to make a stand on principle that will put everything he cares about at risk?